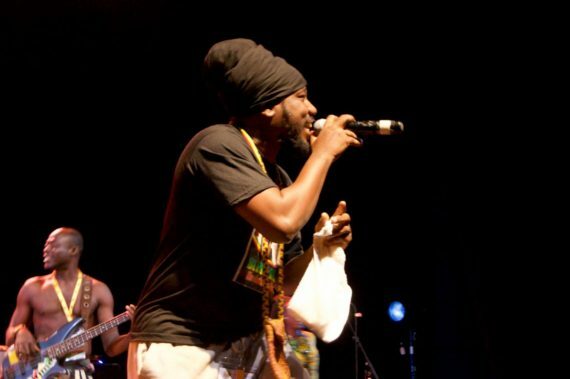 Ghanaian reggae star / radio presenter Blakk Rasta last Thursday became a beaming light of joy and humor to everyone – indeed a ringleader of escapism as he interspersed his performance with anecdotes. 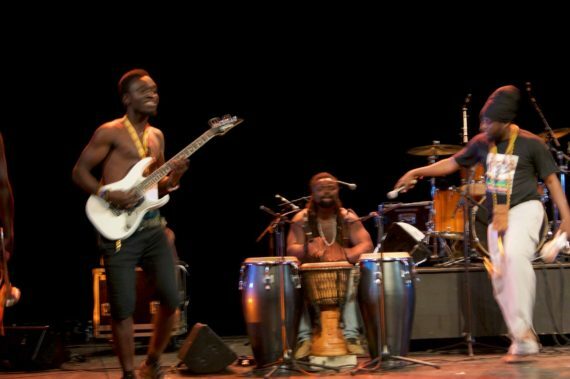 Performing at the French Institute in Abidjan as part of Market for Abidjan Performing Arts (MASA) 2018, he enthralled the audience with a dramatic fusion of reggae and traditional Ghanaian rhythms as he moved in a zigzag formation amidst cheers from the audience. 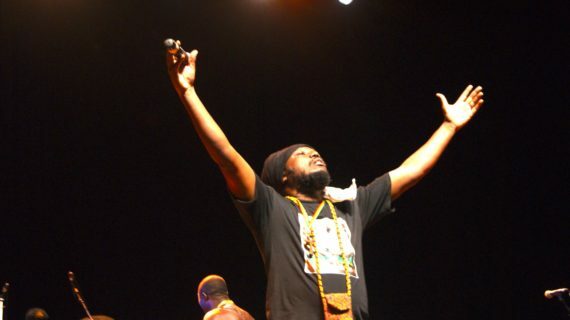 Rasta, who rarely stays still during his boisterous performances, captured the attention of the crowd when he introduced and performed a famous tune he composed in honor of former US president Barack Obama. 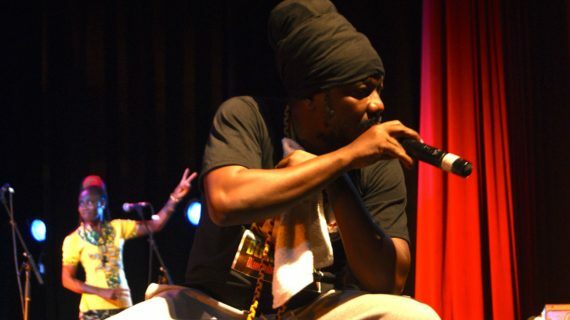 “It is an amazing presentation of yet another synthesis of reggae through a fascinating blend with African musical resources – it simply shows the power and capacity of African rhythms”, added Assan Diarra, a writer from Bamako, Mali. 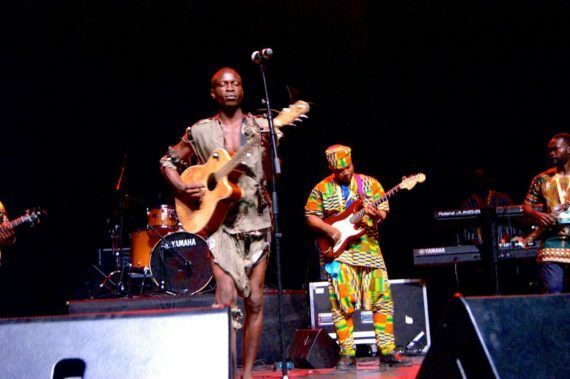 In another concert at the same venue, dynamic Ghanaian singer / guitarist Fatau Keita delighted music fans with a lucid stream of diverse rhythms, beats and songs that flowed with amazing ease from a fully equipped stage. 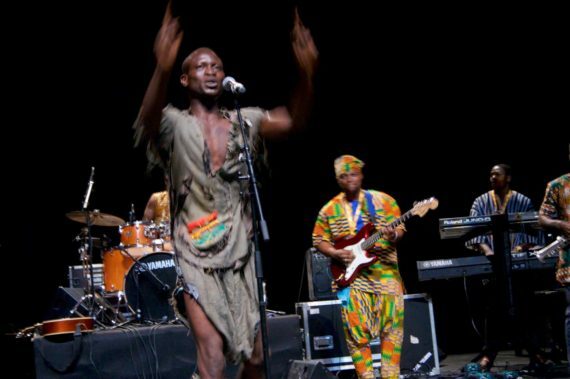 With sounds that streamed through the theatre like a bird in flight, Keita astonished the audience with a precise and definite rhythm that moved from piece to piece thereby creating an emotional intensity that gripped the entire concert hall. 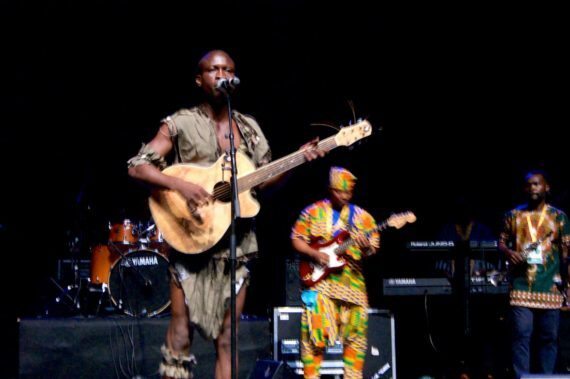 Clad in a rather funky costume, the young singer and his Nawuni Bie Band turned the auditorium into an African groove with a cogent repertoire while gradually seeping into robust tunes as the night progressed. 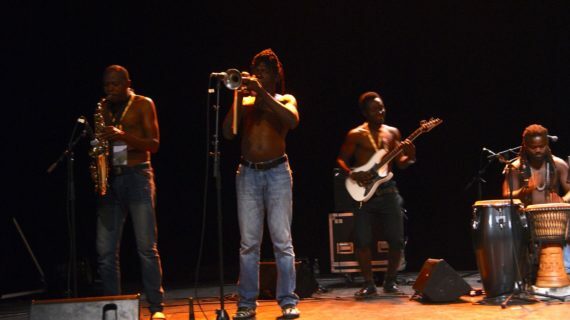 “It’s amazing to see a band with such an amalgam of refreshing rhythms and close harmonies that tend to celebrate African creativity and excellence”, said Mali Seck, a music student in Dakar, Senegal. Over 70 music, dance and theatre groups alongside poets, storytellers, slammers and street artists from various countries in the world performed during the festival, which ends today Saturday March 17.